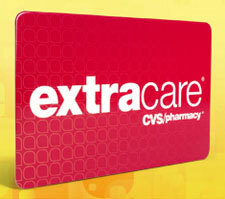 The next time you head to your local CVS/pharmacy, make sure you stop by the ExtraCare In-Store Coupon Center, where you can scan your CVS loyalty card and then print coupons to use on the spot. 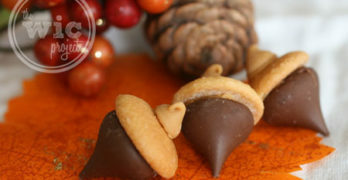 That means you don’t have to try to remember to grab them from the counter before you leave the house. You can just scan, print, and save! 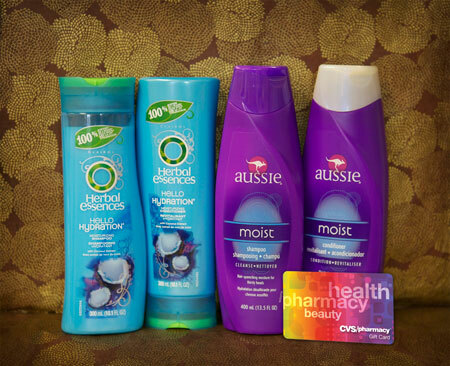 I’m really looking forward to trying both the Herbal Essences Hello Hydration and the Aussie Moist products lines since my hair has been feeling a little parched this winter. Buy $50 in P&G Beauty Products and get a $15 VISA GC! As a special bonus, from now until April 30, 2013, you can receive a $15 VISA gift card when you spend $50 on select P&G Beauty products, including COVERGIRL, Pantene, Olay, and others. To receive the $15 VISA gift card, save your receipts, then visit www.pgbestinbeauty.com to print out the mail-in-rebate form and follow the instructions there to redeem! Make sure you also grab the March P&G brandSAVER from last Sunday’s paper to snag more deals on your favorite P&G products. I like Herbal Essence Products. I am an Olay fan! Pantene has something for everyone in my family! My favorite product is always. I love Pantene and Ivory soap. LOVE Herbal Essence. We use it all the time here. I really like Pantene and Aussie Products. P&G has a lot of great products I use every day.. I like herbal essences hydrating shampoo. Herbal Essence and Cover Girl. My favorite is Cover Girl. I love the Olay anti aging products. Covergirl is my favorite P & G beauty brand. I use a lot of their products. The only two products I use from this brand are Always pads and Puffs tissue! I love Pantene & Herbal Essences. I love the Aussie Moist shampoo and conditioner it smells really good and leaves my hair super soft 🙂 Thank you!! One of the down sides to living in a small town is I don’t get to a CVS as often, but next time I am in there I am definitely going to sign up for a savings card!!! I like CoverGirl; especially the thick lash mascara. Herbal Essence is my favorite P$G brand. My favorite are Pantene shampoo and conditioner. Aussie is definitely my fave. I love head and shoulders! My favorite is Oil of Olay. Thanks! I love Herbal Essences anything! I love Fekkai…best hair products by P&G! My fave P&G product is CoverGirl’s Lash Blast Volume mascara. I love them all,but downy is my favorite! I had no idea that was P&G! I love Olay – thank you. Dawn is the only dish soap I will use! Is that a beauty products? Hmm. And CoverGirl mascara just in case. I love Aussie shampoo and conditioner! Pantene is my favorite! Thanks for the chance! Olay is my favorite P&G brand. Too Many!! Pantene, Charmin, Tide, Herbal Essence, Gain and lots more! I like Pantene shampoo and conditioner for curly hair. thank you! I love pantene the best. Pantene hair care products; Tide/Downey, too. I like Herbal Essences products! My fav is the Herbal Essence collection. Just used them this morning! Favorite p&g product is herbal essence shampoo. Herbal Essences is my favorite brand. AUSSIE!!!! Can’t live without it! Tide definitely for beautifully clean clothes. Aussie Moist. Their conditioners are the best I’ve ever tried. I love Pantene products, especially their AgeDefy line! Mine is Pantene shampoo and conditioner. I like Aussie products best. Of their beauty products, it would be Pantene or Olay. I like Pantene products they make my hair feel like silk and smell good too! My favorite is definitely the Pantene products. Been using them for years. I’m a huge fan of P&G products but I have to say that anything Olay is my favorite! Aussie products are my favorites. I love them all but Herbal Essence is the best!! Love the Aussie line of products. Looks like a fun contest. thanks for sponsoring. I like the Venus line of razors. I love the Aussie line especially their “3 Minute Miracle” that stuff is amazing!! I like (love!) head and shoulders in green apple! Covergirl and Pampers are my favorites. We use the Aussie products. Pantene is my fav P & G product. My favorite is Puffs Plus tissues. I love their Oil of Olay products!! They are the only face creams/ cleaners that actually make a difference in my skin! The new Pantene Age-Defying hair-care product line. I like Aussie hair spray. Don’t use it often but smells and works great. WIFE’S B’DAY IS SOON..GREAT TO FILL BASKET W/PANTENE/AUSSIE PRODUCTS!! I love Gillette Venus Razors! I really like Aussie especially the 3 min deep conditioner. Olay Body Wash is my fave! Oil of Olay bar soap is my favorite. I love and use Pantene Products. I love the Olay facial products, thanks! My fave is Aussie, especially their 3 Minute Miracle. It would be a tie between Pantene and Aussie – use them both regularly – switching every month or so. Herbal Essences is my favorite. Aussie is my favorite brand! TIDE is simply the best. Pantene is my favorite P&G beauty brand. I love Olay. Can’t live without it. I liike the Oil of Olay Body Wash.
My favorite is Herbal Essence. Tide Pods are my favorite. I like Febreeze. It’s the only spray I use in our bathroom. I also really like the fabric refresher. Herbal Essences I have used it since I was a teen. Tide is probably my favorite. I am faithful to Pantene! Herbal Essences is my favorite brand! !